We view mission trips through the lens of relationship. We hope to extend the love of Jesus Christ to our neighbors, but also to receive that love from our neighbors. Mission trips are about building bridges, erasing inequalities, fostering long-term friendships, and participating in God’s ongoing, incarnational mission in the world today. 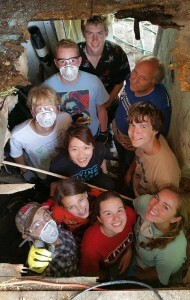 For many years Nassau Presbyterian Church has been taking groups of teenagers and adults on short-term mission trips. See the Youth Ministry Summer Trips page for upcoming youth mission trips. Nassau Presbyterian Church and the Latin American Task Force of Princeton first sponsored a nine-day service trip to Parramos, a rural village in Guatemala’s central highlands, in July 2002. We have made the trip frequently since then and the relationship has grown into the Princeton-Parramos Partnership. 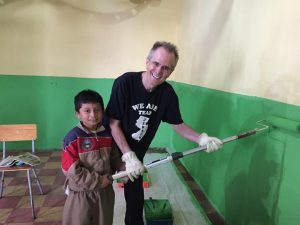 Learn more about the Parnership under the Mission Groups and Initatives page and watch for upcoming trips to Guatemala under News and Events or contact Jonathan Holmquist (jholmqui@temple.edu, 609-771-3744).